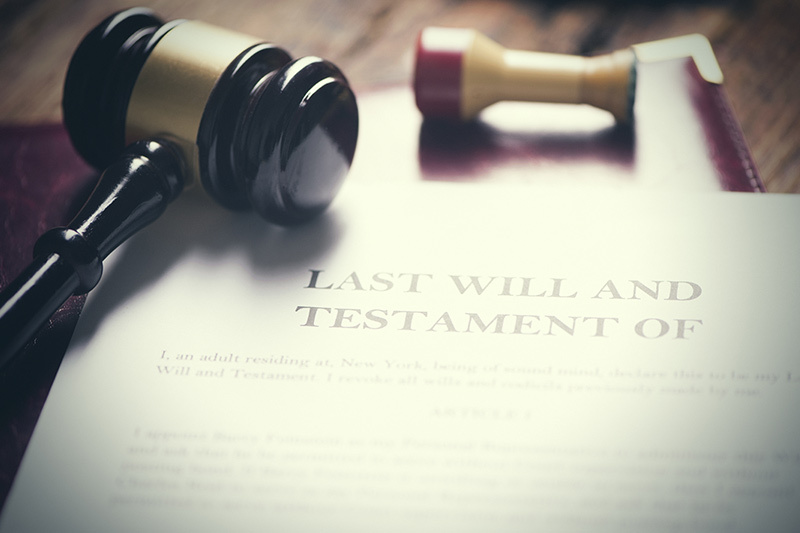 Although estate planning may seem confusing and daunting, not having your affairs in proper order can create issues for the loved ones you leave behind and mean your wishes aren’t carried out as you desired. If you don’t have an estate plan, you need to create one as soon as possible. If you already have an estate plan, be sure your plan is up to date and accurate. This is especially true for seniors, who are older in age. Probate is the legal process for transferring your assets to your heirs and is based on your state’s laws. Some estate plans are sufficient on their own and don’t require probate; however, each state sets limits for estates that can be transferred without going through probate. For some states, the limit is only a few thousand dollars, but other states have limits up to $200,000. Probate is also utilized as a public notice of death. Creditors can file claims against an estate to be paid, and the remaining assets of the estate go to the heirs. If a will doesn’t exist to name heirs, the state will decide how to distribute the assets. There are ways to avoid probate. Some people wish to avoid probate because of the cost of legal fees, which can cost thousands of dollars and are usually paid from the estate. It’s also a long process, lasting between six and 12 months. Those who appreciate privacy may also wish to avoid probate, as the proceedings are public. However, you usually need a lawyer to avoid probate, which is sometimes more costly than the legal fees associated with probate. Trying to avoid estate taxes is another invalid reason for avoiding probate because the estate and gift tax exemption is $5.49 million per individual in 2017. A positive attribute of probate is that it’s a final decision for how your estate will be distributed, so it cannot be challenged in the future. If you decide you’d like your heirs to skip probate, you can have your assets put in a revocable living trust for your heirs. According to Bankrate, “A trust is a legal document that authorizes a trustee, who can be the grantor (or the creator of the trust), to hold title to and manage assets.” A revocable living trust allows you to change or cancel the trust at any time, as long as you’re alive. Also, since a living trust doesn’t go through probate, it’s more private. Bank accounts for individuals have FDIC protection against losses for up to $250,000 per account, which may not be enough for some people. However, a living trust increases the protection amount. Each beneficiary named in a living trust adds an additional $250,000 in protection, and that maxes out at five beneficiaries, bringing your total to $1,250,000. For six or more beneficiaries, the rules get a little more complicated. Note that a living trust has disadvantages. If you have a simple trust, the costs may not be too bad and can be less expensive than a professional executor. On the flipside, a complicated estate can push the cost up to $10,000, which is substantially more than probate. You could complete a living trust online; however, trusts can get tricky, so it’s best to consult with a lawyer. Also, unlike probate, there’s no time limit on a legal challenge to a living trust. Lastly, if you forget to transfer the title of your property to a trust before passing, then the portion of your trust that gives away your home or car is worthless. A quitclaim deed is a common way to transfer property from one individual to another when no money is involved. As the name entails, a quitclaim deed releases any ownership claims an individual may have in a piece of property. “Families often use quitclaim deeds to transfer a property between family members, such as from parents to a child,” says Realtor.com. Be sure that you research and fully understand each part of estate planning, as well as living trusts and quitclaim deeds. Since each state’s laws can vary, know your specific state’s handling of estate planning, living trusts, and quitclaim deeds. Finally, you should speak to a qualified attorney for the most accurate and assured legal advice. “What Is a Quitclaim Deed?,” Realtor.com. “California Quitclaim Deed Form,” DeedClaim LLC. “6 surprising facts about a living revocable trust” Bankrate. “Probate, Wills, Executors: Your Estate Planning Questions Answered,” Next Avenue.